Sukhim Guest House located in Gangtok. If one is planning to reach by airways then the nearest airport is at Bagdogra. And the closest railway station is at New Jalpaiguri which is well connected to major cities making it convenient for the guest. Hotel has well appointed rooms with amenities like television. Airport Transportation, Baggage Storage on Request, Laundry Facilities, Security Guard, Doctor on Call, Backup Generator, Breakfast Services, Parking, Travel Counter, Room Service. Room Heater, Toothbrush/Razor on Request, House Keeping, Bottled Water in Room, Attached Bathroom, Cable/Satellite TV, DVD Player, H/C Water, Iron/Ironing Board, Television Room. 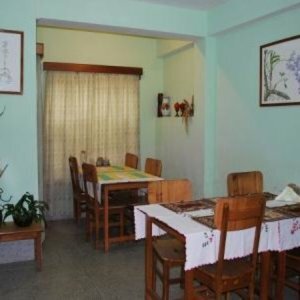 User reviews for "Aashishkhim Guest House Gangtok"